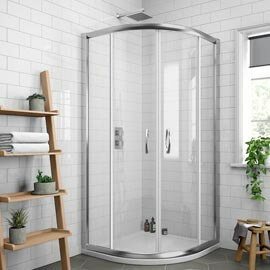 Adding a shower enclosure to your bathroom provides a great accompaniment to your shower, giving the room an extra layer of style while preventing unwanted splashing and wet floors at the same time. There are many different designs to choose from, but which shower cubicle is right for you? What are the different options available to me? 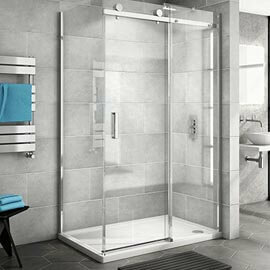 Quadrant Enclosures: These enclosures are very common as they are suitable for bathrooms of various sizes. There are a number of shapes available in this style and they slot neatly into bathroom corners. Offset Quadrant Enclosures: Similar in design to quadrant enclosures, offset styles have a slightly longer length and offer a larger showering space inside the cubicle. 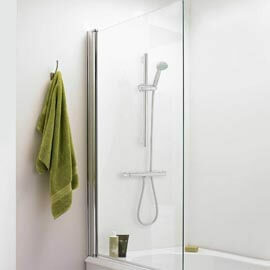 Rectangle Enclosures: Rectangular shower enclosures are popular options as they're a standard shape that suits many bathroom styles. Their rectangle cubicle shape is very easy to work with and install. 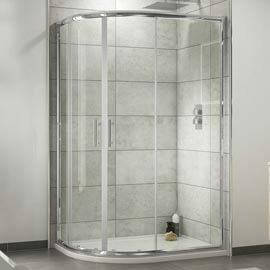 Square Enclosures: Square shower cubicles fit neatly into corners and have proved a popular choice for many home owners. 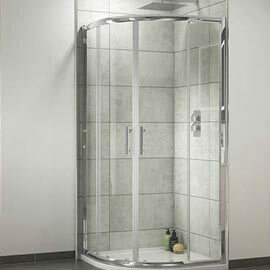 Frameless Enclosures: Frameless shower enclosures are a luxurious style and have a designer look. There frameless design gives the cubicle an open feel which is great for smaller bathrooms as well as larger settings. Cabins: Shower cabins offer a luxurious way to shower. Many of these fully functional cubicles feature items such as body jets and steam functions for a spa treatment you can enjoy at home. 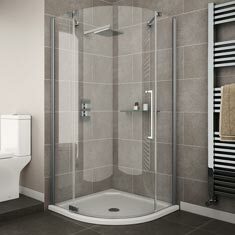 Shower cubicles are suitable for larger bathrooms. Wet Rooms: Also known as Walk-In Showers, when combined with a shower tower, these enclosures are fantastic if space is at a premium. They feature open space and are ideal for those with mobility problems. Various screen styles can be incorporated to get the setup you want. I just need a shower door, what are my options? Hinged/Pivot Doors: These doors come in a large amount of sizes, giving you great choice no matter what your requirements are. 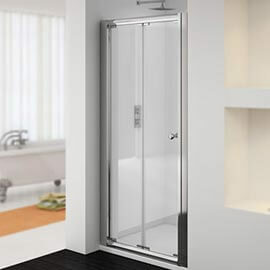 Sliding Doors: A practical upgrade for any enclosure, these items come in a large range of sizes and soft-close options are available for those who enjoy showers late at night or early in the morning. Bi-Fold Doors: These doors are ideally suited to smaller enclosures due to their compact nature. They are a great for guest bathrooms and en-suites. 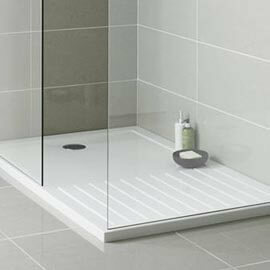 Shower Side Panels: Available in sizes to suit your requirements, side panels are an effective way to finish off your enclosure, keeping your bathroom splash free. What are your shower trays made of? Our range of trays is manufactured to ensure the highest possible standards are met. Many feature tough polyurethane resin moulds which have filler mixed with volcanic ash inside them, with acrylic capped casings that are very durable. These hard, solid resin trays are very robust and are built to last. Do I Need A Shower Waste? Shower wastes should not be overlooked. Wastes ensure your draining is safe and efficient. 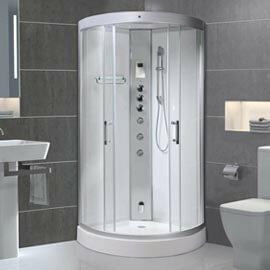 There are various choices available that will suit different shower styles. Our range of contemporary and traditional waste options will match your enclosure perfectly. 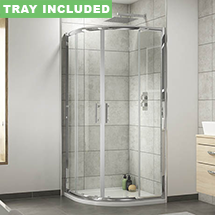 A waste is an essential aspect of any shower enclosure. Do I need leg stands and a panel? You will only need leg stands with certain types of enclosure. These help in cases when you have a concrete floor, as they mean you don't have to cut into the floor itself to get the tray to fit, while the raised panels conceal the piping, giving a flush look that is both practical and stylish. They are mainly used as part of a quadrant enclosure, raising the tray to your required level.